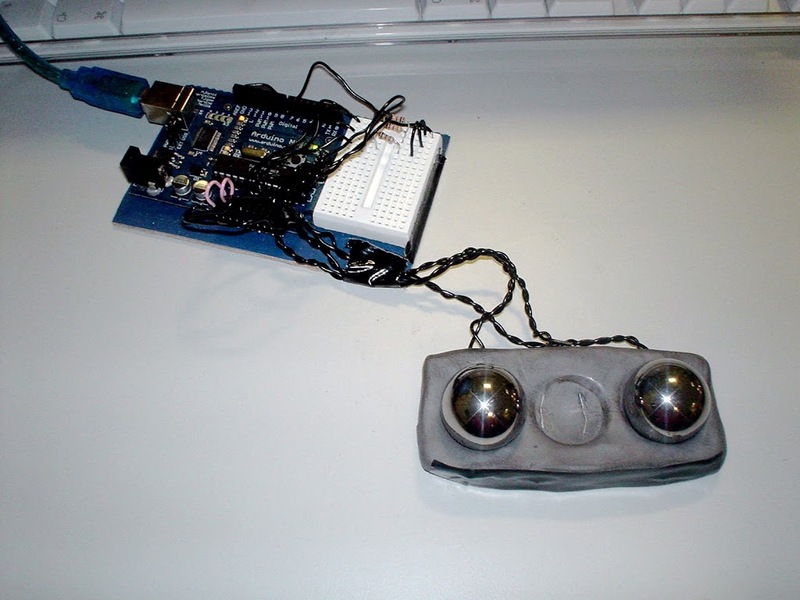 I’m liking the look of this DIY Arduino-based video game system. 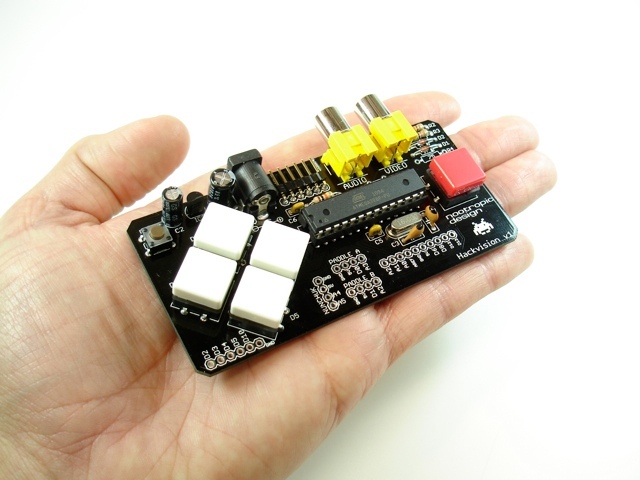 Looks simple to program and fun to use… and at not much more in price than an Arduino. More info on the Hackvision project site. Have finished a very simple prototype of the “beat-bearing” interface. 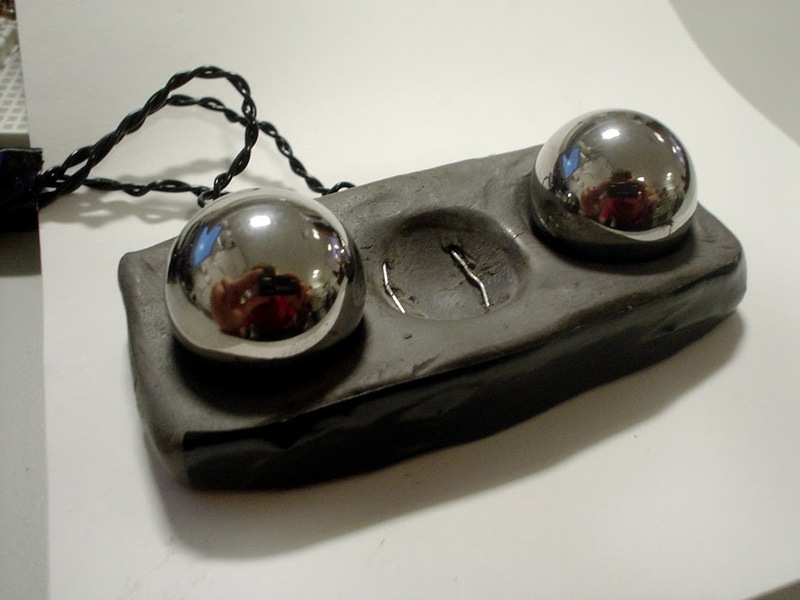 Ball-bearings are used to complete a circuit by being placed in the indentations. The aim is to create a tangible sequencer that will allow a user to construct a beat by placing the ball bearings on a grid of these indentations. Given that the 3-ball prototype is too limited for use as a sequencer, it is currently being used to mute individual tracks in Ableton Live (drop the first ball in for a kick-drum and snare, second for the hi-hat, and third ball for the bassline). Even though it is limited it’s good fun to use. 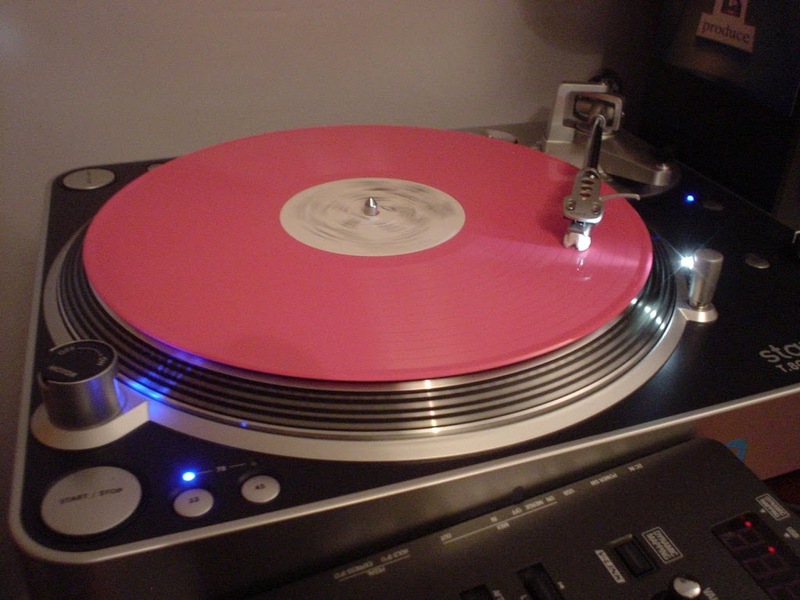 Have got hold of MsPinky vinyl and software. The time-coded record allows you to control a digital sound file, and has a low latency so even scratching’s possible. 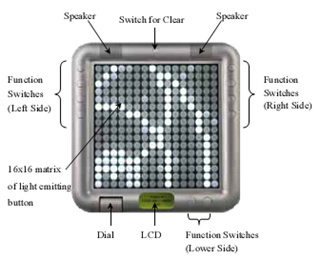 The plan is to use this as along with my AirScratch interface to create an uber-scratch-anywhere interface.